Each proficiency level is composed of Performance Objectives (POs) subdivided into Enabling Objectives (EOs). In the table above, the “X” in the PO number is replaced by the corresponding Proficiency Level (Ex. 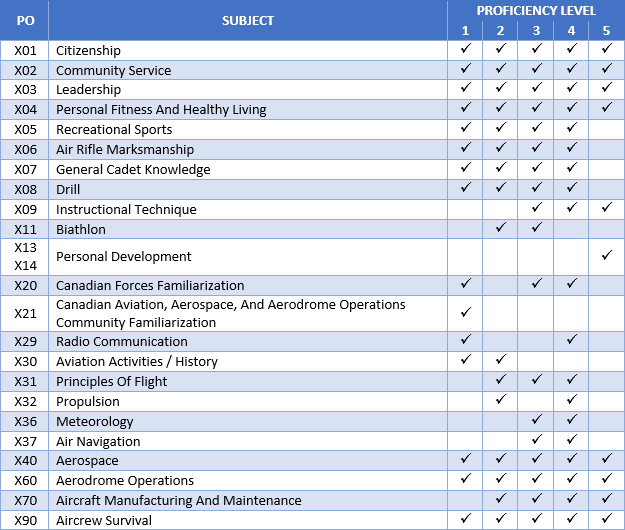 PO 101 would signify Level 1 Citizenship, PO 432 would signify Level 4 Propulsion, etc.). Click the "Protected Documents" button and enter the required password to view.